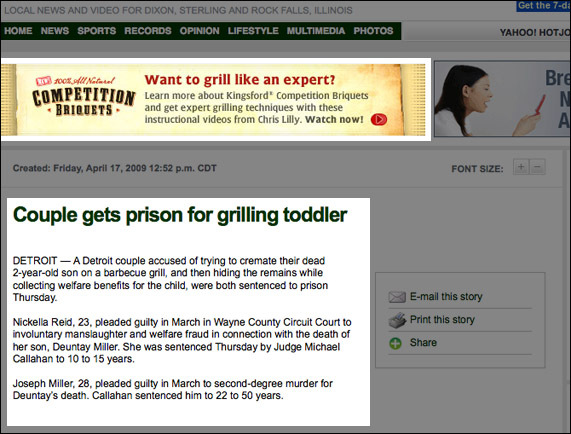 This has got to be one of the worst contextual ad mess-ups ever! I wonder if ad servers are going to start filtering out certain keyword co-relations, so that ads don't serve next to posts w/ the words 'murder', 'convicted', etc. in them. They might have to if things like this keep happening and advertisers start to demand more control before they pull their ad dollars all together.